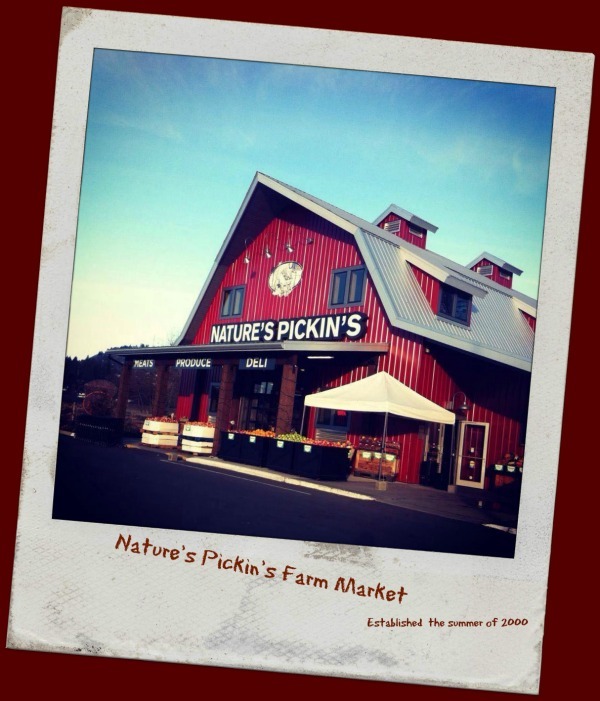 Living and working in the Fraser Valley we are surrounded by local farms and farmers. With neighbors like Birchwood Dairy Farm, Gelderman Farms, Taves Family Farm and Willow View Farm it is pretty easy to support local farmers. The 100 Mile Diet, in the Fraser Valley, can be easily taken to task. 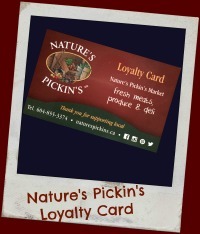 Being strong advocates of supporting local, Nature’s Pickin’s Market works directly with farmers bringing their products in store, the back door is always bustling with deliveries of fresh local produce, from apples, strawberries, and kiwi’s to potatoes, green beans, peppers, tomatoes, cucumbers and so much more. "Eating Local in the Fraser Valley" by Angie Quaale is available in our Market. We were honored to be included in her amazing cookbook. Our Features for the week of April 26th to May 2nd. Join us to Celebrate BC Veggie Days! Did you know all of our Hank's Beef is Grass Fed and finished! Check out Savory Sausage, great for the BBQ & it's made locally. • Walters Smokey Maple Caesar Mix NEW! • Unbun Keto Buns NEW! • Yai Thai Hot Sauces $4.99 each! Check out all our Locally Made Keto Friendly Products!